Virtual reality has always fascinated me. As a designer by trade, I have always loved different visual experiences. There have been many companies over the last few decades that have tried to do something in this space but these products have not really taken off. I had the pleasure of playing with a developer preview of the Oculus Rift over the weekend. There is still a ways to go before it is ready for daily consumer use, but give it a year or so and it could be part of your weekly gaming and/or web surfing experience. For those of you that do not know what an Oculus Rift is, it is a headset that you wear that covers your eyes and is connected to your computer and when it is on it puts you in different 3D worlds. For example, you can walk around a little village, fly through outer space, ride a virtual roller coaster, or be in the driver’s seat of a race car. You might be thinking I am not a gamer so how is this relevant for business or my daily internet usage. Well, what if you could use Google’s Street view and virtually walk through a city or one of their worldly attractions at: https://www.google.com/maps/views/u/0/streetview?gl=us/. The neat thing about the Oculus is that if you move your head left and right, it is what you would see if you were really there. Another example is that you could do a walk through of a building or a house that you are looking to buy in another country. I was also thinking about how you could use this for education. When students are covering certain topics, they could virtually walk through and interact with things in these places and understand the topic better than just photos in a textbook or in a web browser. This could allow learning to be a lot more fun and engaging in a world where most of us have a short attention span. The possibilities in education could be endless. The Oculus software has a decent size gallery of experiences at: https://share.oculus.com/, especially on Windows, but there are some for the Mac and Linux. The development team recently added support for Unity and if you are a game developer you will likely be pretty excited by this. For those of you that do not know what Unity is, it is a cross platform gaming programing suite that allows you to make games for phones, tablets, desktops, the web browser, gaming handhelds and consoles. 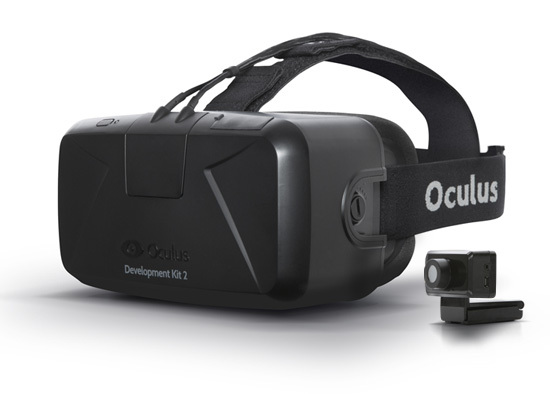 If you get a chance to try the Oculus Rift or any other virtual reality device, I highly recommend trying it out. These devices are coming and having an opinion about them will likely help you in the near future.